It feels like it was forever ago that I was heading to Toronto to work with the incredible team at Canadian Tire and every day since, I've been wanting to tell you all about it! Well, today's the day! I'm so incredibly thankful to have had the opportunity to work with this stunning holiday collection, you guys, you are going to looooove it! 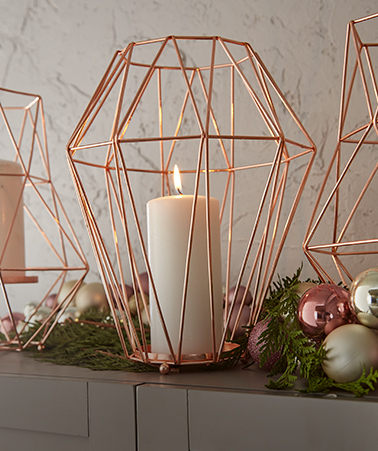 Say hello to the CANVAS Christmas Collection! More specifically, all things gold! 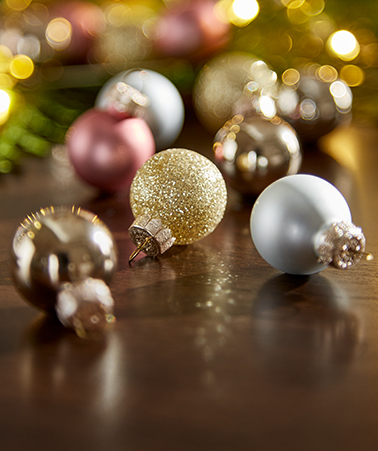 We absolutely love spending time decorating the tree. We turn on the holiday tunes, throw on a couple of Santa hats and get to work! Once all of the decorations are up, we take a seat on the ground, next to the tree and enjoy a pizza dinner. I can't remember when or why we started this tradition, but it stuck and we look forward to it every year! 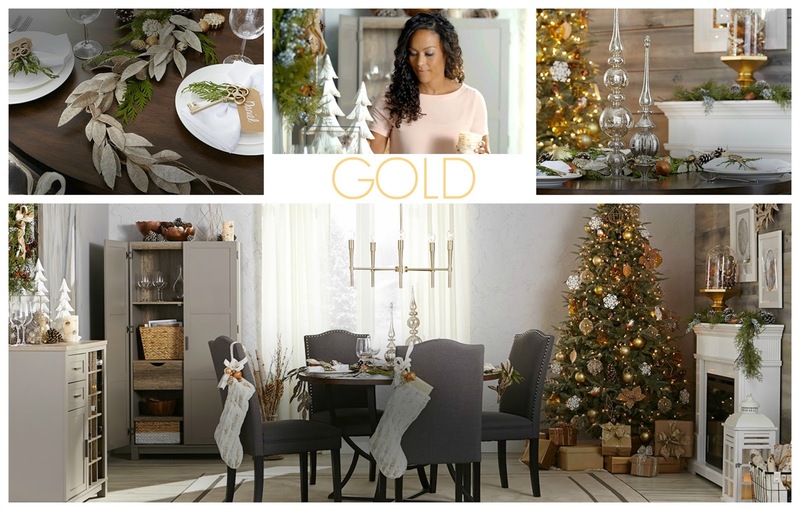 Gold really allows you to add an extra bit of sparkle and warmth to your decor during the holidays. It pairs beautifully with so many colours, so it's a great option. 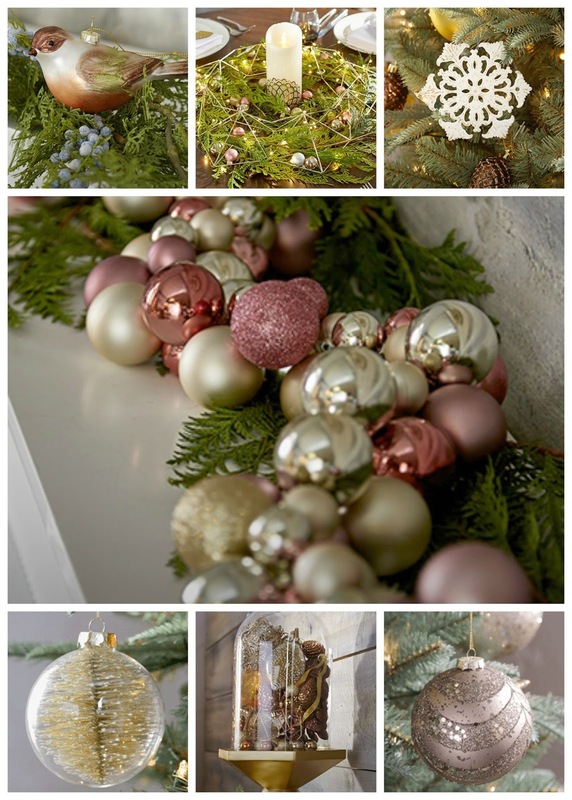 It's especially beautiful when decorating the dining room for Christmas dinner! That was precisely my vision for this stunning colour! You can view my inspiration for this space right here on Pinterest! I so very much look forward to the big Christmas dinner each and every year. It's a tradition in many households and a time that we can usually guarantee that the family will all be together. A fresh garland topped with a glittery gold-leaf garland and stunning ornaments replaces a traditional table runner (and smells ah-mazing!). Tip! I like to attach some of the decorations to the garland so that everything can be removed relatively easily when it comes time to make room for the delicious eats! 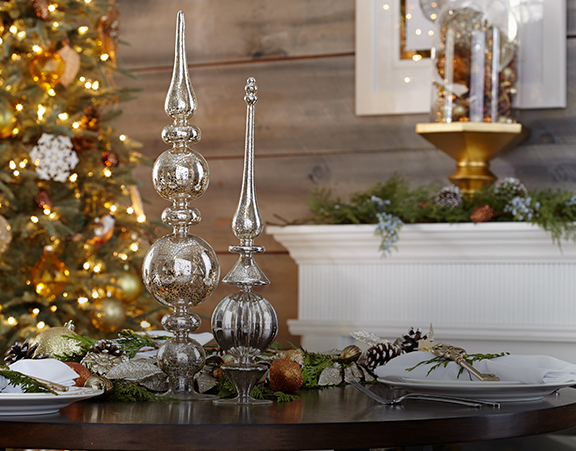 Consider swapping out candles for a pair of finials as the centre piece! Welcome your dinner guests to their seats with antique inspired key ornaments! To do this, weave a ribbon through the top of the ornament and write their name on a piece of cardstock. It's a beautiful & simple way to decorate each place setting and it's also a keepsake for them to take home. 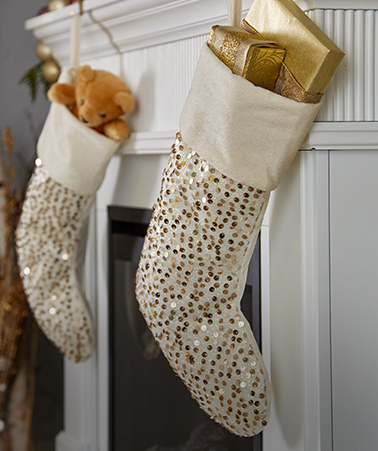 You can see videos of my holiday DIYs and tips right here! The CANVAS Christmas Collection truly makes it easy for you to create your very own festive look! With six colour collections, all of which can be mixed and matched, from traditional to modern pieces, we have no doubt that your home is going to look amazing! 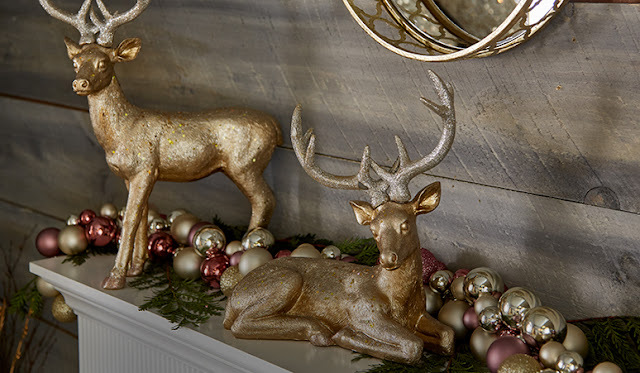 Now you know that we want to see how you decorate with the CANVAS Christmas Collection! Use the hashtag #MyCANVASstyle so that we can all see and be inspired!